Eirik Havnes is a Norwegian guitarist, composer and artist living and working in Trondheim. He got a master degree in sound art from Music Technology at the Norwegian University for Science and Technology, and works in between the barriers of music, installation, sculpture and concept. Havnes is an active musician, both with his solo works and in constellations such as SAW, Polymono Antisterei, Me the Daughter, Kniv&Sprit, and Trubohaler, where he’s been playing hundreds of concerts in Norway and Europe. He has shown art works at a series of Norwegian institutions, amound them Meta.Morf 2014, Trøndelag Centre of Contemporary Art and Bomuldfabriken Kunsthall in Arendal. He has worked as a festival producer for many years, and been involved with Kongsberg Jazz Festival, Sommerfesten på Giske, Jugendfest and Pøkk. He is also the head of Bråkesund, festival of contemporary music in Ålesund, and director of it’s music label Bråkesund Records. 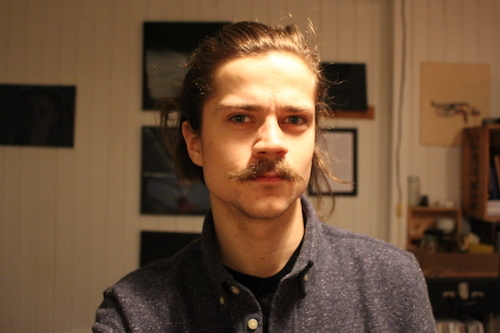 Now he is working together with Margrete Abelsen as manager for the art production facilities Lademoen Kunstnerverksteder, which is also hosting the international artist residency where :VTOL:: will produce his works.